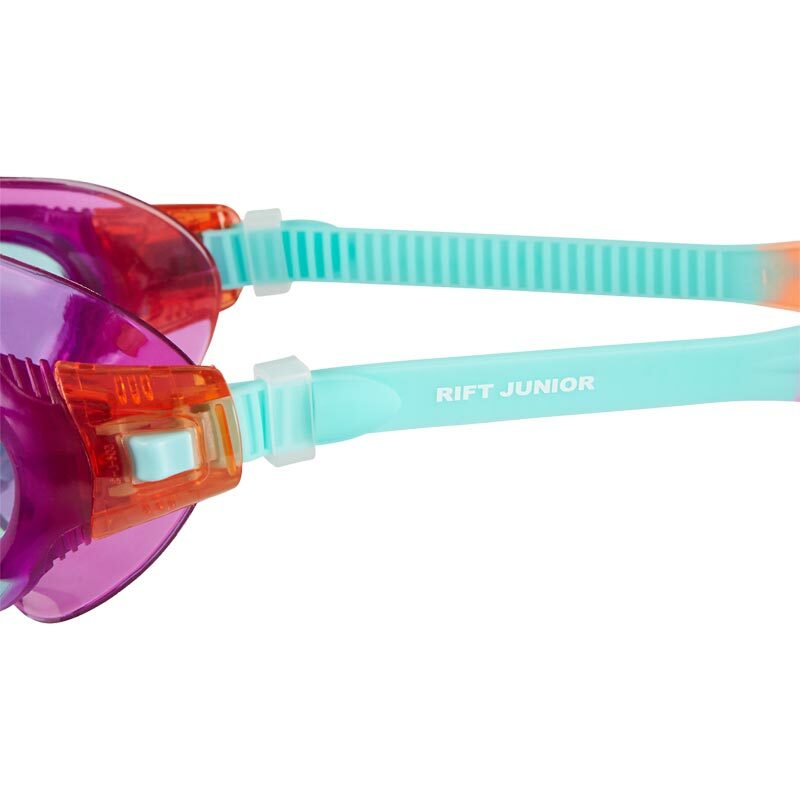 The Speedo ® Rift Junior Goggle is a hybrid mask featuring Biofuse®® technology for maximum visibility and comfort. 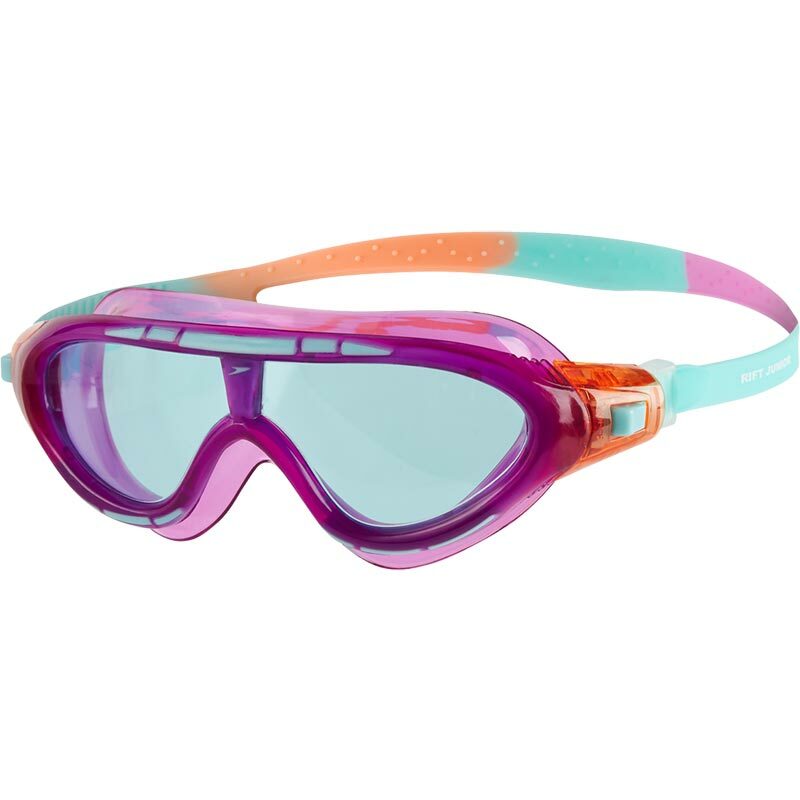 The child friendly design means the goggle is quick and easy to adjust and the anti-fog technology ensures clarity under water. AntiFog Ultra impregnated lens for excellent vision and clarity. 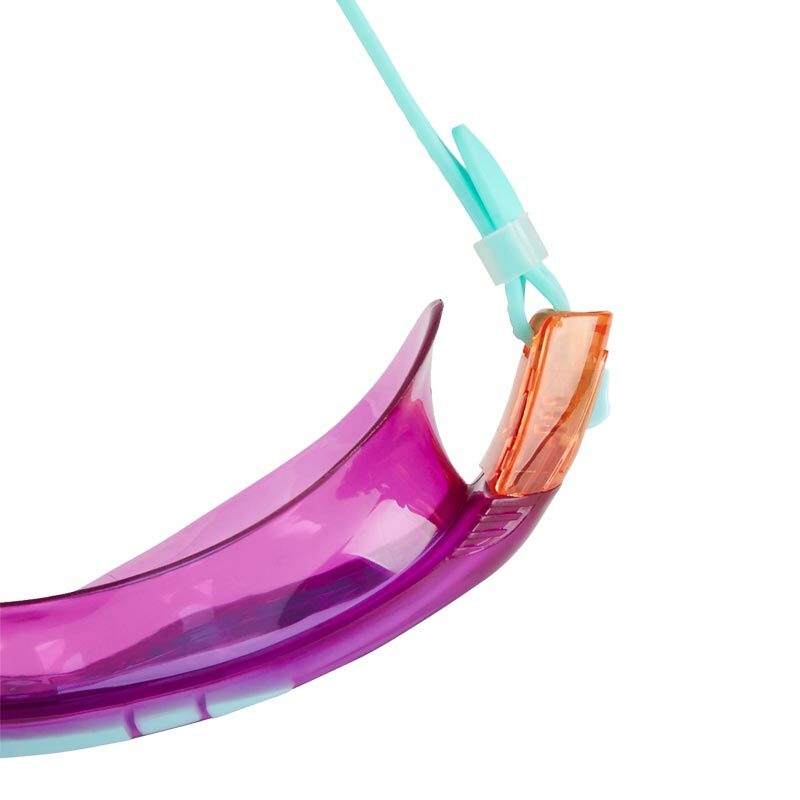 SpeedFIT adjustment sideclip allows fast and easy adjustment for a perfect fit. 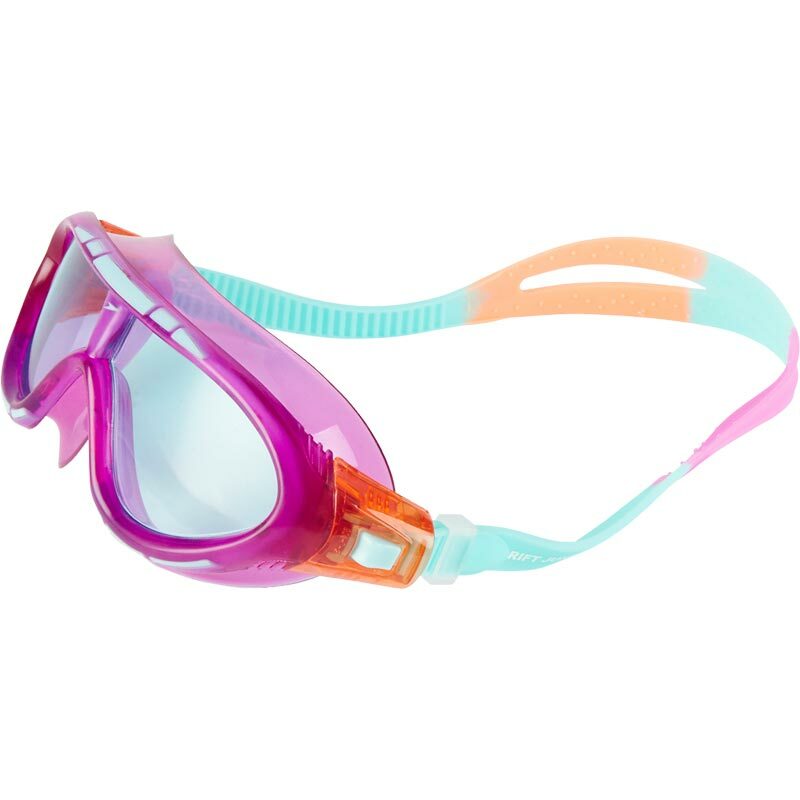 These goggles are nice and well made, but they seem to be harder to fit than the previous pair (different brand). However, I was pleased to find this style available at a good price and with decent shipping.